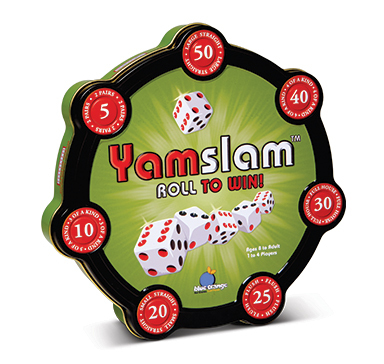 Yamslam is a fresh twist (with a BIG boost of fun) on popular dice games. 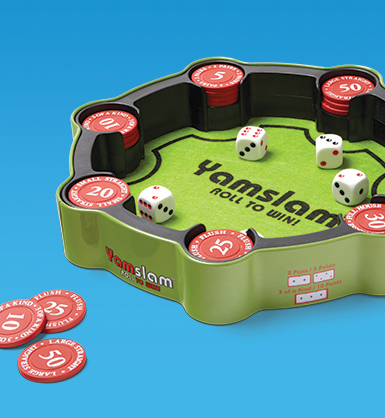 With its interactive gameplay and attractive, self-contained design, this dice game offers so much more! No need for paper and pen—the scoring chips allow for non-stop action and easy point calculation. Let the five dice roll to achieve the best combination and win the corresponding chip. Players compete to grab the best chips before they run out and plan ahead for special bonuses.